a real-life experience is worth a million. 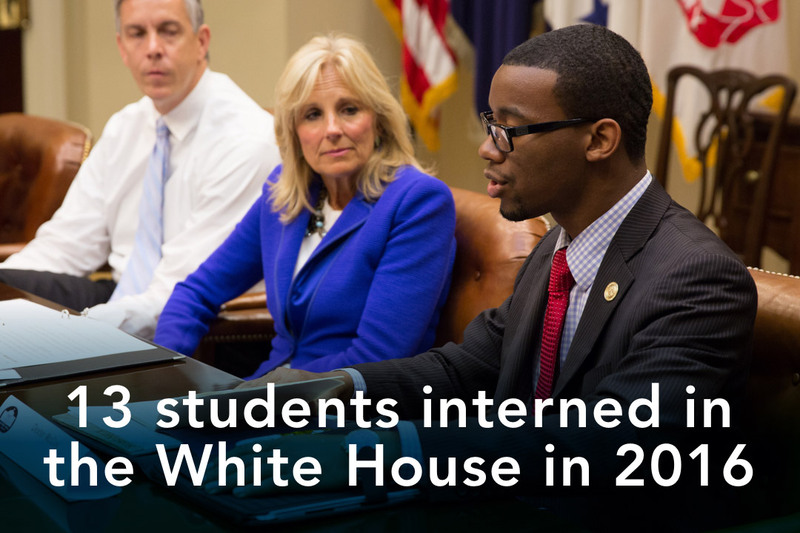 When you study in the heart of the nation’s capital, your dream internship isn’t hard to find. Walk from our Foggy Bottom Campus to monumental locations like the White House, U.S. State Department, International Monetary Fund and World Bank. Take the Metro to Capitol Hill, anywhere in the city or explore neighboring Virginia and Maryland. Find opportunities at embassies near our Mount Vernon Campus. 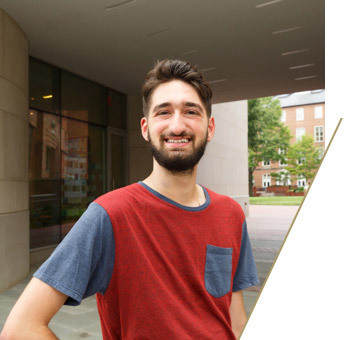 According to Princeton Review, there’s no better school than GW in the nation to find your dream internship. As an intern in government, nonprofit, media, research, the arts and beyond, you’ll use what you learn in the classroom to actively address some of our generation’s most important issues. 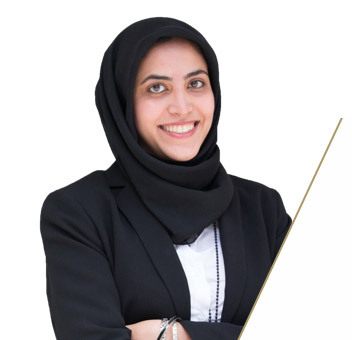 Undergraduate and graduate students have the opportunity to put their knowledge into action while preparing for life after graduation with one of our more than 12,000 yearly internship opportunities. At GW, we empower you to find the internship of your dreams, whether it is paid or not. 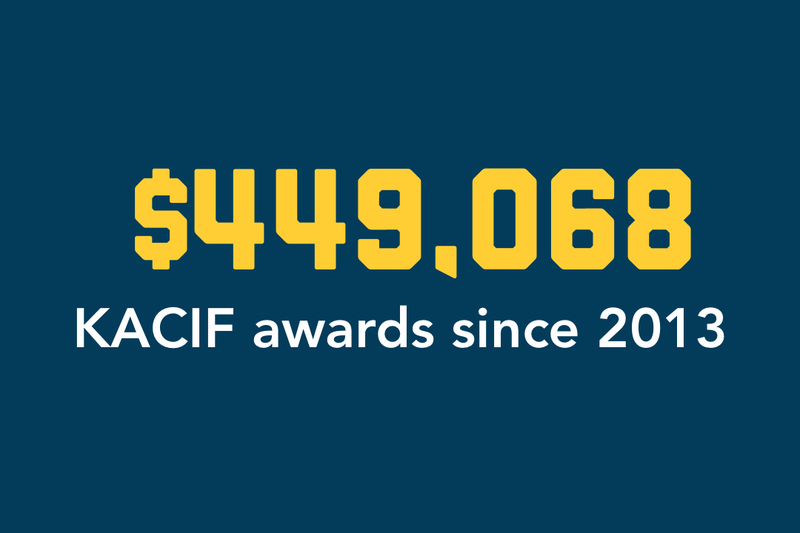 Apply to the Knowledge in Action Career Internship Fund for a grant to pursue an unpaid internship. The Center for Career Services offers career coaching, self-assessment, online resume and cover letter development, and assistance with networking and interviewing. Students and alumni discover their talents and interests, decide on an academic major, explore industries and career options and create an effective job search strategy. 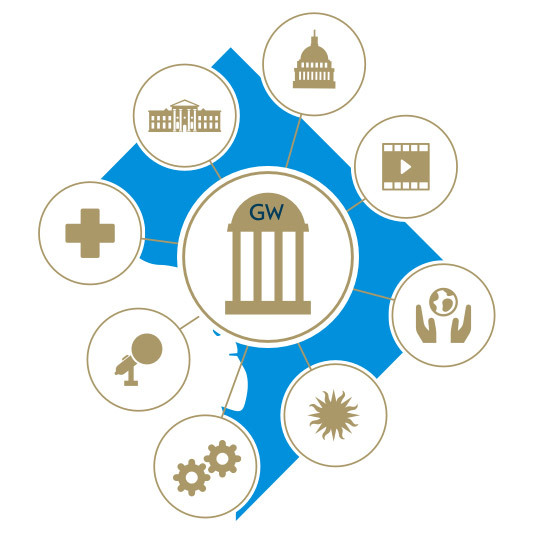 Whether you’re expanding your field of knowledge or making a career pivot, your education can be enhanced with real-world experience through one of GW’s thousands of graduate student internship opportunities. If finding the one for you seems daunting, don’t worry: We wouldn’t be Princeton Review’s “Best School for Internships” if we didn’t offer numerous resources to help. 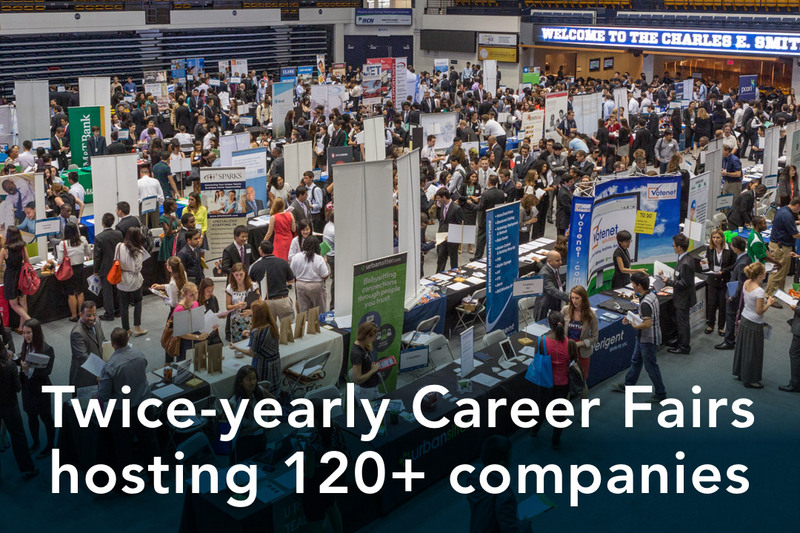 From career coaches and our Handshake portal to our twice-yearly Career and Internship Fair or your school, there are plenty of resources to find the best available opportunity for you and your career.